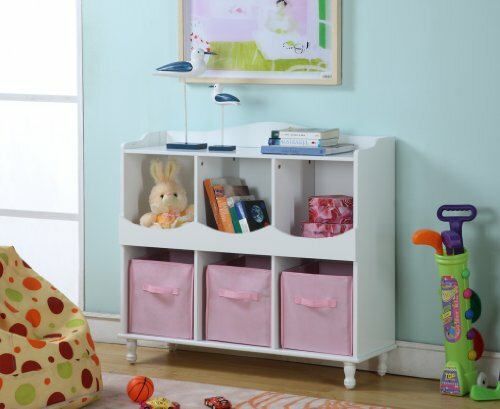 Wood 6 cubby storage cabinet includes 3 pink non-woven fabric bins. Simple assembly required. Available in white finish. Measures 40-inch length by 12-inch width by 36-inch height.